(6) Photos Printable Brochure Apply For Credit Schedule A Test Drive Text Us About This Vehicle! 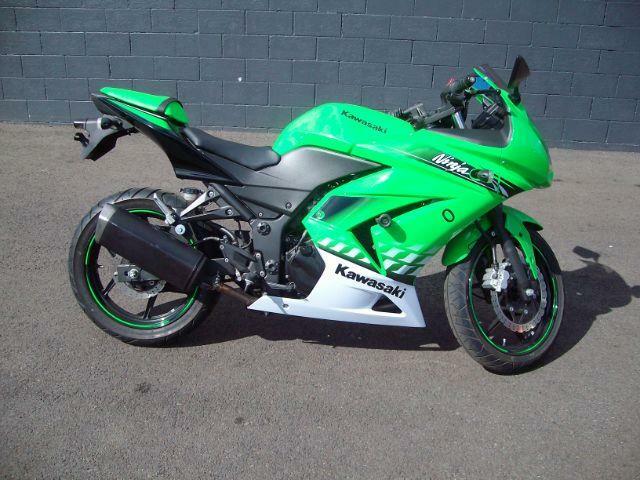 Very clean Ninja 250 Special Edition with very low miles! Goodfella''''''''''''''''s has expanded our Motorcycle Department !! Street bikes, Dirt bikes, Quads and Scooters! Come on in and check out our Motorcycle Showroom . Please give Steve a call at 253-318-6548 if you have any questions. Message: Thought you might be interested in this 2010 Kawasaki EX250-J.